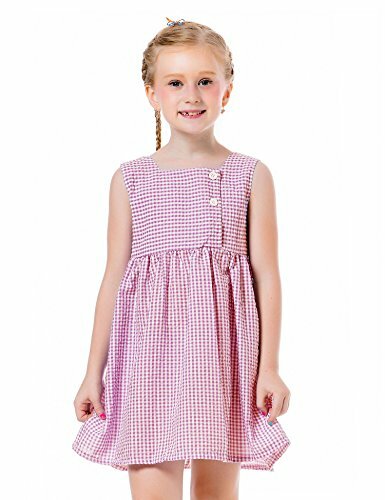 Overview Yarn-dyed interlock dress with printed cotton twill skirt features daisy appliqued waist, front pocket with "pocket full of posies" embroidery and applied daisies with button accents, crochet back paneling and keyhole tie closure. 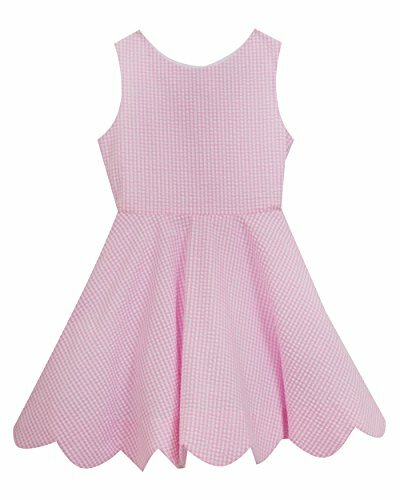 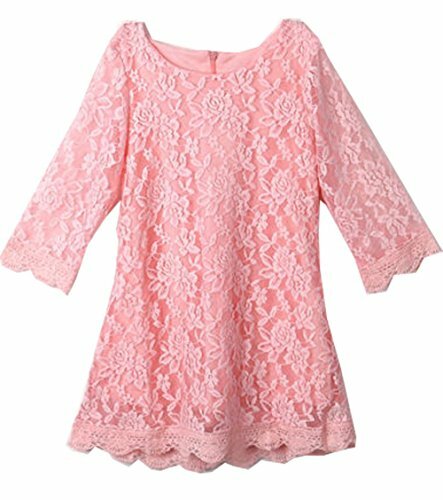 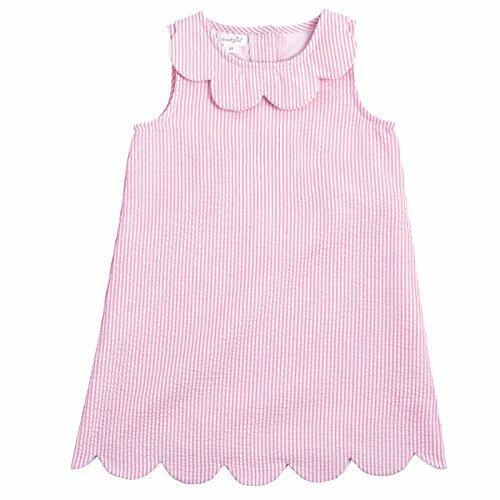 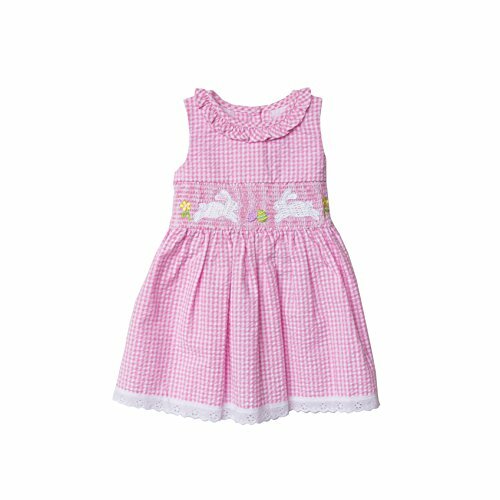 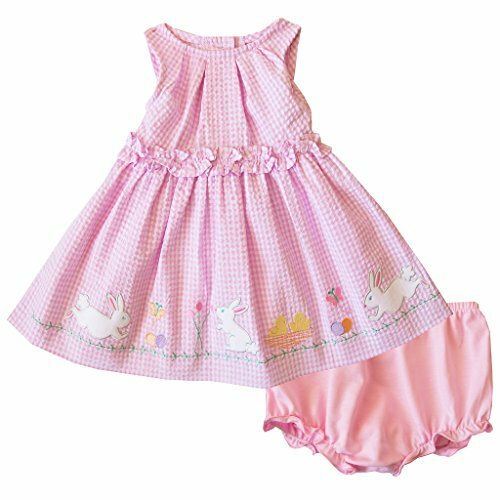 An adorable dress for your baby or toddler girl from Lito. 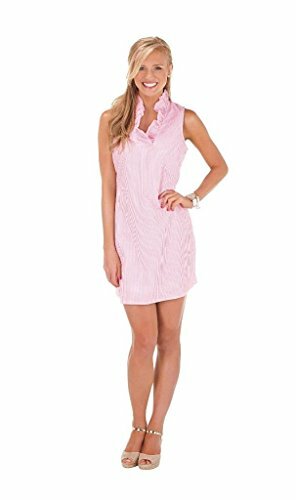 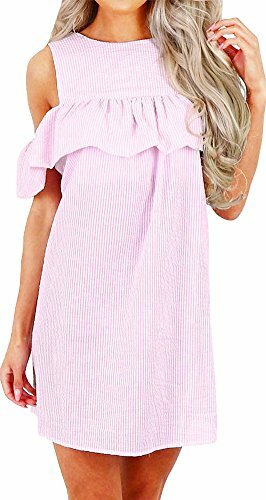 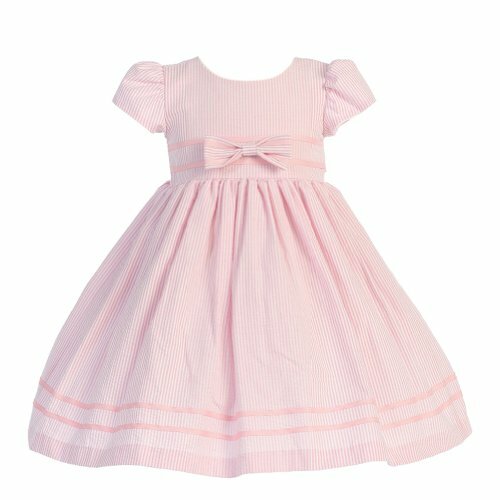 This soft pink striped cotton seersucker dress has short cap sleeves and scoop neckline. 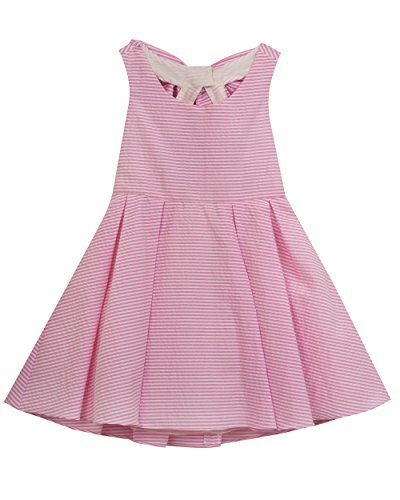 This dress is accented at the waist and hem with a double stripe and pleated bow at center waistline.